Once an attractive area for unregulated forex brokers, recent changes by the New Zealand FMA now require a physical office and license. In the start of 2010, New Zealand became a hotspot for non-regulated forex brokers to incorporate their businesses. 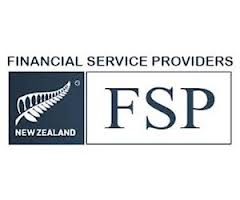 This was due in part to an overhaul of the financial system at the time, which paved the way for what is known as a New Zealand FSP or Financial Service Provider. Savvy corporate service providers jumped on the opportunity to promote this as an authentic, regulated entity. Upon registration brokers who appeared in the FSP register would post the company registration number on their website. This would give investors the impression that the business held a forex license, when in fact it was only registered as a Financial Service Provider. This all changed in 2017 when the New Zealand Financial Market Authority, or FMA, began receiving complaints about forex brokers advertising as regulated businesses. As a result of these complaints the FMA chose to adopt new changes, starting with a physical office in New Zealand. Currently, any New Zealand FSP that wishes to undertake forex activity must obtain a Derivatives Issuer License. As forex broker license specialists, we warn potential brokers and investors to be cautious with any broker advertising as an FSP that doesn’t appear on the New Zealand FMA’s official list of forex brokers who possess a Derivatives Issuer License. A recent example is the firm Forex Hub Limited, which was recently flagged by the FMA for falsely claiming to hold a license in New Zealand. Should you be interested in obtaining a license in New Zealand, establishing an FSP, or have any inquiries related to forex broker licenses, don’t hesitate to contact us.